As a premed student all your thoughts and energies are pointed towards the MCAT! Guess, what this is just the beginning of a long line of standardized exams that you'll face throughout your medical career. Just like the MCAT was a gatekeeper there's one test your United States Medical Licensing Exam (USMLE) Step 1 which determines your chances of getting into the medical specialty of your choice and in particular what residency program. It doesn't have to be repeated but to practice medicine in America for all intents and purposes you'll have to complete a residency. So this gives you an idea of how important the USMLE or The Boards as they are often called mean. I know medicine isn't about the money or the lifestyle but if we're being honest these things are factored when deciding which specialty to enter. For instance, did you know an orthopedic surgeon makes on average $413,000 a year while Family Medicine earns $176,000 per year. Moral of the story you have to do well on your boards to land a competitive specialty and earn a high salary if that's your goal. Regardless, it never hurts to aim high on any standardized exam. Here's specific tips and actions for rocking your USMLE Step 1. Begin preparing for this exam from the first day of medical school. The Boards cover all the material you'll see during your first two years of medical school aka classroom based learning. One way to get ahead is to purchase a copy of First Aid here and annotate it as you go through your classes. This book is literally your medical school Bible, this isn't optional you need to own First Aid and know everything in it. What you want to do is write in your class notes or any relevant facts as your progress through the year into First Aid. Then when it is time to review for Boards everything is nicely located in one place. Jumping off topic briefly you'll hear a lot of debate about if grades even matter for residency. Grades in your first two years may not be weighted heavily but it is factored into residency selection. Because when everyone is the brightest at what they do you need some way to eliminate and chose the best of the best so subpar grades are an easy way to rule out applicants. Additionally, you aren't being taught random things just for the sake of it. Everything you learn has clinical relevance and is fair game for the Boards. I like to say, "How can you not learn the material during medical school and then expect to know it cold by the time you take USMLE?" It just doesn't add up in my opinion so you're doing yourself a huge disservice by not learning your course material. Questions and more problems will be the bane of your existence and they are a great way to prepare for Boards. But don't wait until a few weeks or months before you actually sit for your exam to begin doing questions. My friend who scored the 240+ on her USMLE said you want to do Board style questions as you come across the material in your regular classes. This means when you are doing pathology, pharmacology, renal, cardiology, et cetera you want to do all the related questions. Don't wait to the end. This same philosophy should apply when studying any of your material. Never save practice problems until the week of the exam to start them. You want to do them as you go over the material because it will show you what you know and what you don't know. Besides, when you are a few weeks out and realize you just don't know you won't have adequate time to review and learn the material in-depth as would be the case if you had been constantly doing problems as you came across the material. Question banks are going to take a lot of time so don't underestimate how long it will take you. The goal isn't to zoom through as many questions as possible. You want to get through a good portion of questions but have some very strategic takeaways. How you get takeaways and boost your USMLE score is to review each problem in detail and be able to determine why an answer choice is correct or incorrect. I've heard one method to really get you thinking is to ask yourself how would the question have to be reworded to make each answer choice correct on its own. 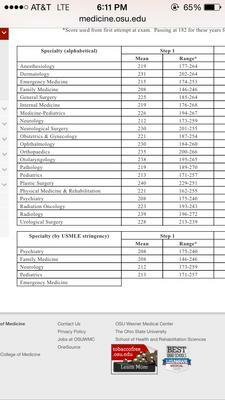 This is the process my friend advised me to follow and it got her a 240+ on the USMLE meaning she can write her own ticket to any medical specialty of her choosing.